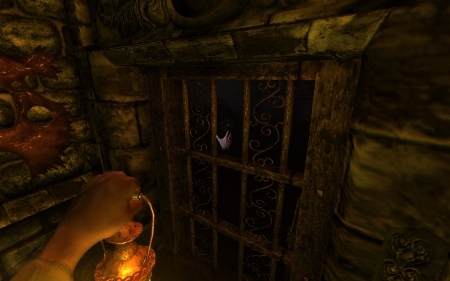 The first-person adventure immerses the user in the spooky setting of an ancient desolate and crumbling Prussian castle. You, as the hero, navigates the terrifying environment using all your wits and knowledge to wriggle out of one tight spot after another. Hang around in any one area too long and you will begin to lose your mind and, if you're not careful, even your life. The eerie atmosphere makes it difficult to find the hidden clues and the necessary elements needed to progress. With ghostly sounds and poor lighting, it's little wonder one can hardly determine their next step. The dark shadow is always lurking and often right on your heals. 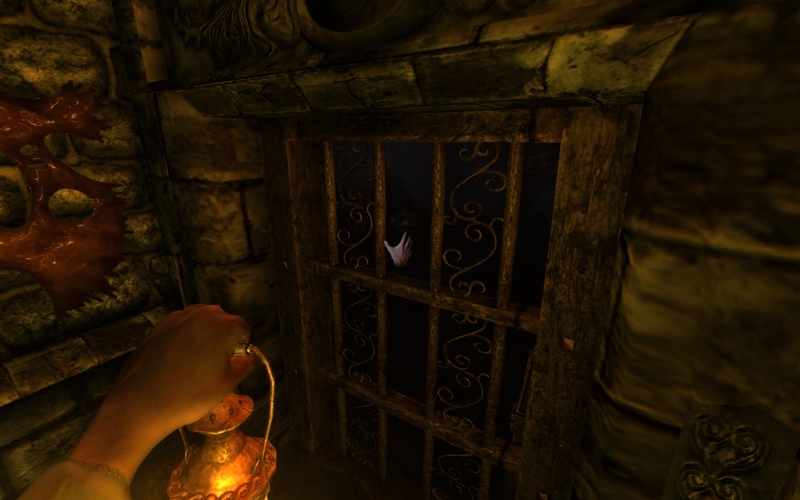 After nearly three years of development, Frictional Games is proud to announce Amnesia: The Dark Descent has gone gold. To celebrate and whet your appetites, a Demo was released on Friday, September 3. Full retail pricing and downloads became available September 8. Purchases include full versions for each major platform: Windows, Mac, and Linux; as well as a Steam activation key. Linux minimum requirements are listed as a 2010 released distro, 3D acceleration drivers for at least a Radeon HD or NVIDIA 6, 2.0Ghz processor, 2048 MB memory, and 3 GB of hard drive space. Nerves of steel are recommended but not required. Frictional Games is one of the few companies that release their high-quality games for Linux at the same time and with equal priority as the other platforms. Their awesome Penumbra series is available now as a single package collection for the remarkable value price of $6. The games of Frictional Games are well suited for the gamer, puzzle fan, or horror lover. An official trailer is available on YouTube and the newest trailer is available here.